A Cinematographer's Watch That Counts Down To "Action!" Watchmakers cater to all kind of professions that live and die by the clock. But Arnold & Richter is the first to include filmmakers alongside pilots, law enforcement, and engineers with its limited edition Arri-branded DoP*1 watch designed with the help of German cinematographer Tom Fährmann. 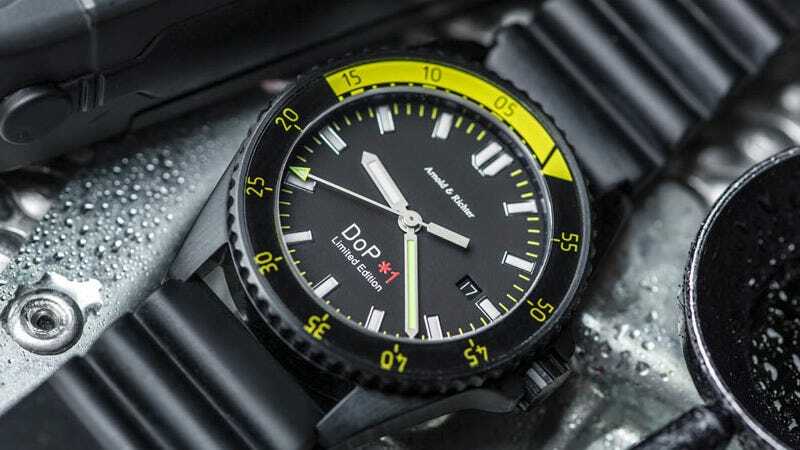 A black rubber strap, ultra-hard sapphire glass, and water-proofing to 200 meters ensure the DoP*1 could survive even the on-set rigors of being a stuntman. But what will make it really appeal to cinematographers and other filmmakers is the inclusion of a chronograph that counts down to zero. So when the director says a set needs to be dressed and lit in 30 minutes, you're always aware of the impending deadline.